Elle Erickson sets up her shop in downtown Asheville. 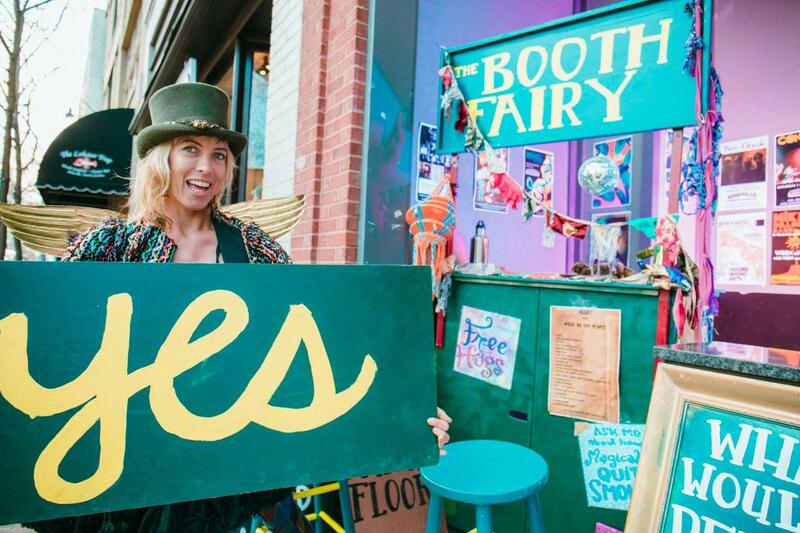 You can find free hugs, free advice, high fives, dancing and more at her traveling booth and thrift store. Elle Erickson has a self-proclaimed superpower. “I can find really good secondhand clothing that are extremely fun pieces,” Erickson said. From this superpower, Erickson has created a project called The Booth Fairy. She picks interesting and unique secondhand and thrifted pieces and sells them in Traveling Thrift Store Shopping Parties and Traveling Trunk Shows. These parties have taken Erickson around North Carolina and much of the southeast including places like Charlotte, Asheville, Savannah, Knoxville and Nashville. One of her next pit stops is Boone, where she will set up her racks of clothes at 3rd Place on Appalachian Street. The clothing for sale ranges from bohemian, to vintage, to staple items needed for work or formal attire. Erickson said all the clothes she sells are secondhand, something she is passionate about for environmental necessity. The secondhand clothing Erickson sells is more sustainable and cheaper than new clothing, with prices ranging from $5-20. Handmade or higher quality items are more expensive. Erickson also sets up booths that give advice, free hugs, free-high fives and inspiration to quit smoking. Erickson also likes to employ local artists at her venues. 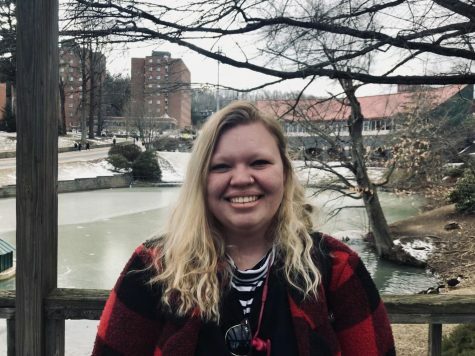 Last time Erickson came to Boone in early fall 2018, she included booths for henna, body artists and tarot card readers. Besides her traveling booth shopping parties, Erickson has promoted other projects she wants to see thrive. One such project is Bliss Mobs, where Erickson and volunteers give hugs in nursing homes and busy cities. Erickson also sets up Free Advice Booths and cultivates an idea of Love Ambassadors, or people in major cities nationally who promote free hugs, love and finding human connections. She has around 200 patrons who help fund her traveling booth and other projects, according to Erickson’s Patreon account. As she comes to Boone on Feb. 6-9, Erickson wants her customers in Boone to become involved.